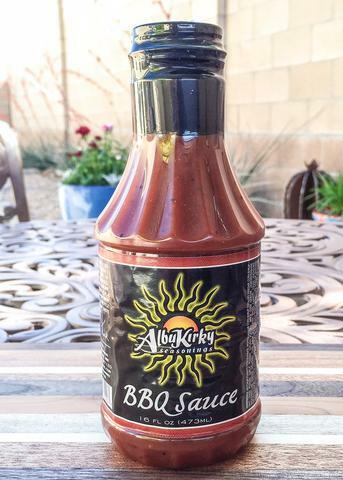 AlbuKirky Red Chile BBQ Sauce | Patio and Hearth Co. This sauce begins with a blast of flavor from our Red Chile BBQ Rub, followed by a zesty emphasis from the vinegar. Not as sweet as traditional sauces, which plays up the smokey, peppery notes naturally found in the red chile. Mild enough for the youngest BBQ aficionados in your family, but sophisticated enough to dazzle the adult palate. Make room in the fridge for your new favorite sauce! Slather on ribs, chicken, pork, brisket, and burgers…anything that might need a flavor boost! Inquire about AlbuKirky Red Chile BBQ Sauce using the form below.